Saudi Arabia is famous not only for its religious attractions. Its guests also have an opportunity to enjoy different entertainments. Food traditions of the country deserve to be mentioned. At national restaurants, dishes are still cooked by special old recipes. Main values of the national cuisine are beef and lamb dishes. Poultry is cooked here in a special way too. A famous national dish is corn porridge called burgul. Another masterpiece of the national cuisine is guzi, i.e. baked lamb that is filled with spices and nuts when being cooked. The people of Saudi Arabia are one of the world leaders in consuming coffee. Making and drinking coffee is a real ceremony for the locals. On the market, tourists can choose different types of coffee and popular supplements to them. The locals have coffee with spices. The most popular supplements are cardamom and cloves. In gift shops, visitors can buy beautiful accessories for preparing and having this popular national drink. Beach recreation and entertainments deserve a special attention. There is one of the most beautiful coral reefs in the world at the coast of the country. Both experienced divers and beginners will find here dive sites. Not so far from the coast are beautiful islands with wild beaches and pristine nature located. You will diversify your beach recreation by visiting them. Shopping enthusiasts will not be disappointed too, as they will have an opportunity to walk along picturesque eastern markets. When walking along colorful market rows, you can buy popular national spices, clothes in the national style and jewels at attractive prices. Visitors of local markets and small private shops should remember that it is accustomed to bargain here. For local sellers, the bargaining has long become an old kind rite that lets lower prices of many products significantly. Friday is a day off in the country, so most of the markets and shops do not work on this day. 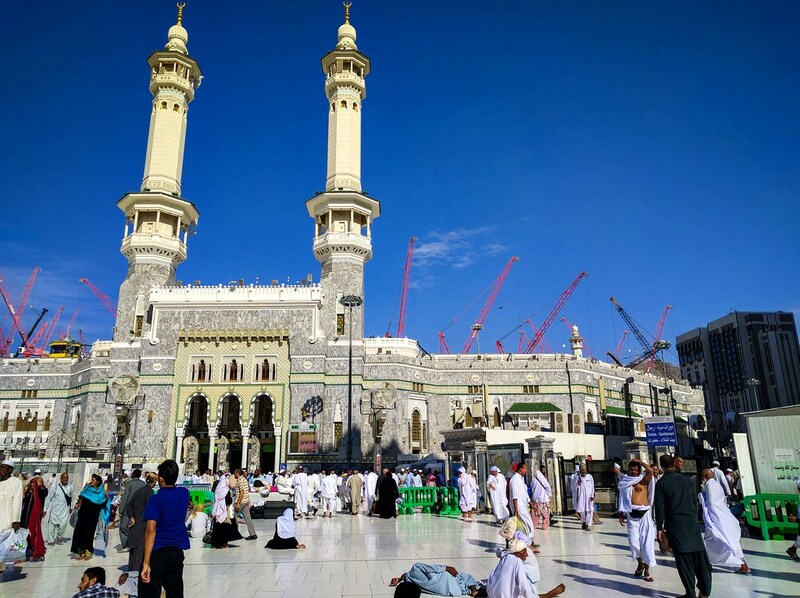 This article about iconic landmarks and sights of Saudi Arabia is protected by the copyright law. You can re-use the content, but only under the condition of placement of an active link to www.orangesmile.com. 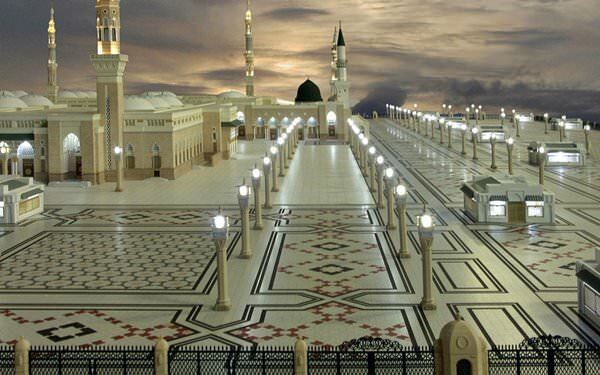 Al-Masjid an-Nabawi mosque, where the Prophet Muhammad is buried, is the major religious symbol for Muslims. 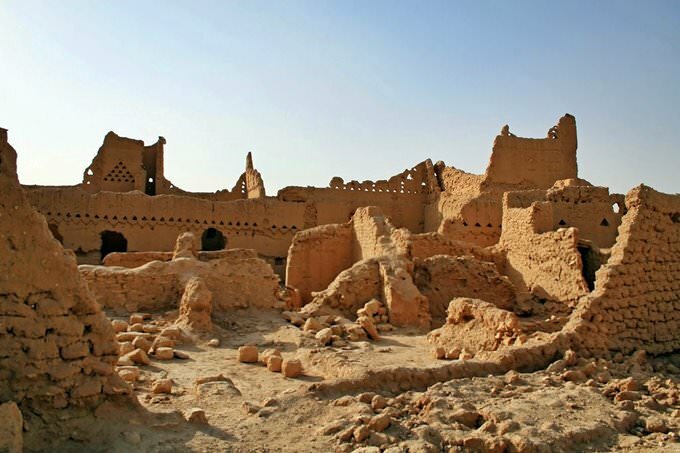 According to the history, the first mosque was built here at the times of the prophet’s life. Later the modest holy place was set up enormously under the authority of Islamic rulers. Today the mosque stands out not only by the enormous size but also by the adorable design. This effect was made due to the usage of noble marble breeds and precious stones. The Kaaba is the main Muslim shrine, which during hadj, gathers pilgrims all over the world. The Kaaba is an unusual and very harmonious temple of a cubic form, the walls of the temple are painted in black and adorned with elaborate painting with gilding. 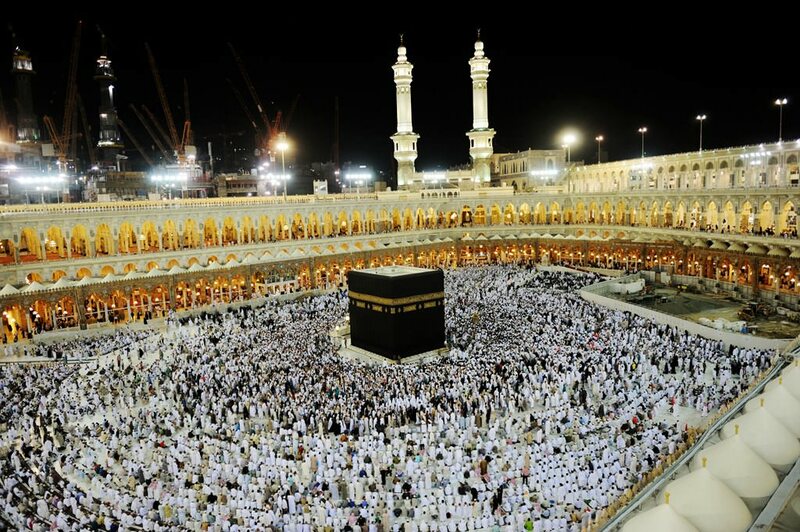 The height of the main Islamic shrine is 13.1 meters. 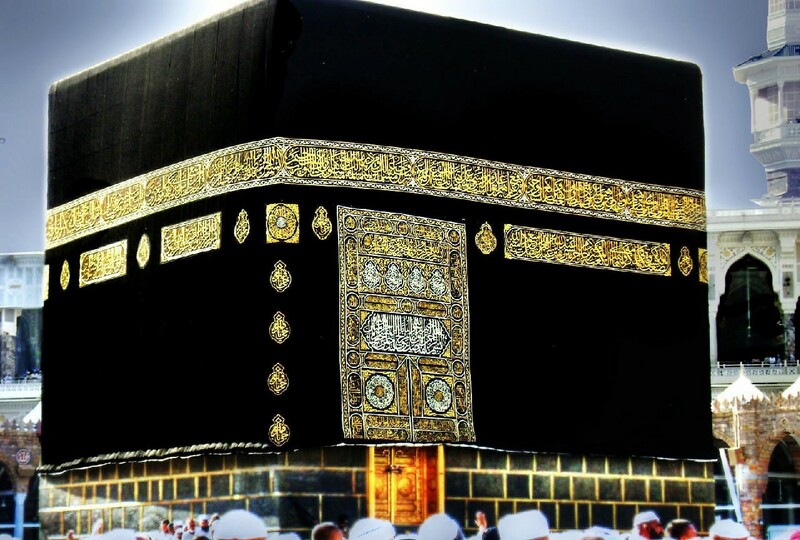 For Muslims Kaaba is a kind of reference point, it is just the side, to which they turn their eyes every day during prayer. Until now, the exact date of the construction of the temple, as well as its founder, is for certain unknown. The most recognizable architectural landmark of Saudi Arabia is a complex Abraj Al Bait. That’s the world's heaviest network of buildings. 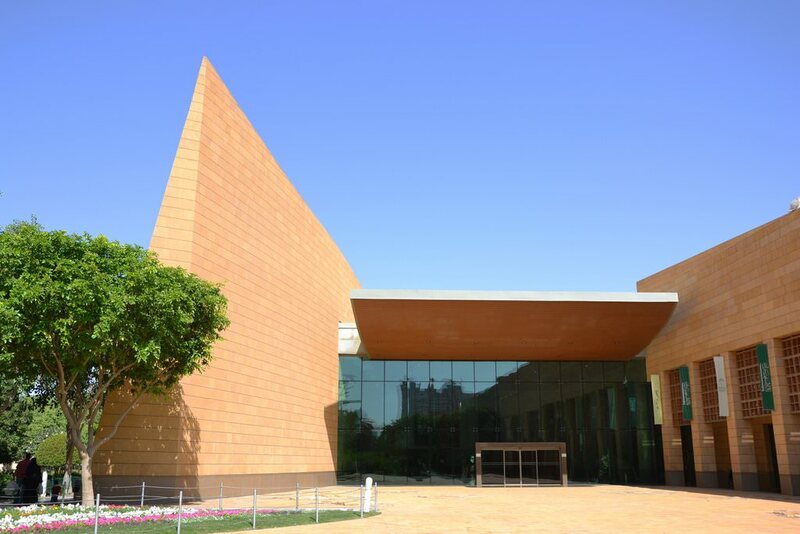 This complex also features impressive height; it’s the highest in the country. Towers stream upwards for 558.7 meters. 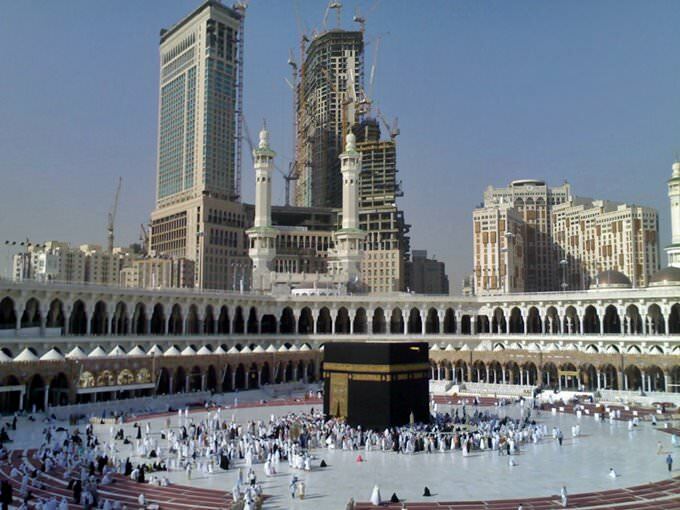 Abraj Al Bait is in Mecca, in the vicinity of Al-Haram and other Islamic shrines. 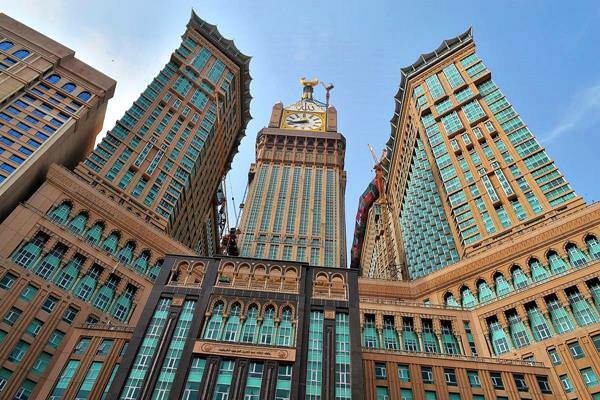 The complex of buildings houses several hotels that each year welcome more than 5 million pilgrims from around the world. In addition, there is a large shopping mall and various dining places.